Codinter is a multinational company with offices in the United States, Colombia, Venezuela and Brazil. Since 1979, they have been distributors of several brands of industrial products, including welding and cutting, industrial finishing and abrasives. 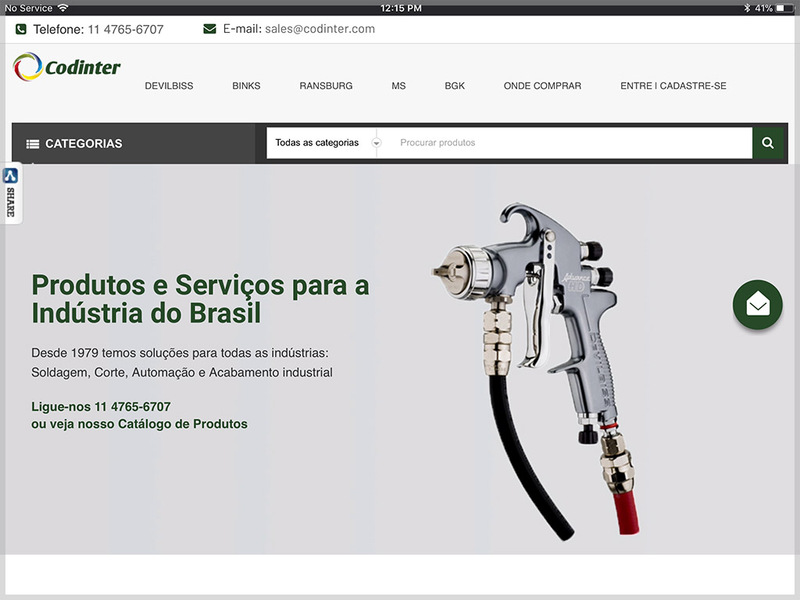 Since their target markets speak different languages and are located in different countries, they needed a website that could offer a catalog of products for each, and receive contacts from new clients. Part of this website was made in WordPress and the other part in Magento. A blog and several landing pages also form part of the project.